Today is May the 4th. So, "May the fourth be with you!!!" -- This isn't going to be my typical blog entry, I'm going to go full on nerd. So, if that's not your thing, you may want to go back to Facebook now. First, credit where credit is due: almost all of this concept is drawn from this web site. How should someone watch the Star Wars saga? 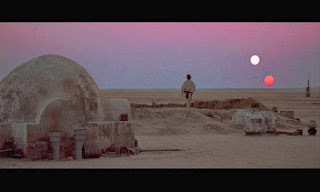 Or, maybe a better question, -- if you wanted to watch the entire Star Wars saga, in what order would you watch? If you were introducing a total noob to Star Wars, where would you start? Yes, revolutionary. Perhaps a bit hard to accept at first. But ask yourself this question: Is there anything in Episode I that is exclusively critical to understand the greater Stars Wars saga? I say "no." I had to let that sink in for a bit myself. 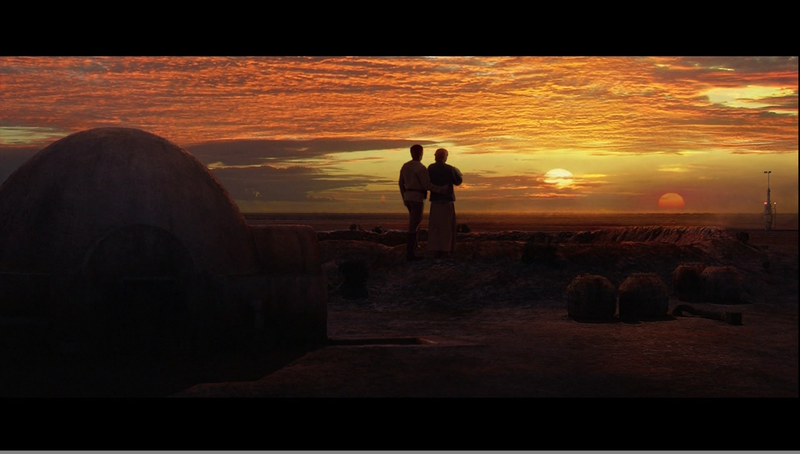 The Phantom Menace (Episode I) is my least favorite of all the movies, however, I have always thought that it does have some redeeming value. The major redeeming value is the movement and manipulation that shows how Palpatine came to power. (I still contend that Palpatine is the "menace" in the title though some disagree.) Pretty cool that he started a war - and it didn't even matter who won - just so he could become the chancellor, but I digress. Do you truly need to know how he became the chancellor to appreciate the rest of the story? No, no more than you need to know why Han Solo became a smuggler to appreciate his role in IV-VI. What about how Anakin left his home and his mother? What about Qui-Gon? Why did Anakin get chosen? Well, I don't think you need to go into any of those things to understand the arc of Star Wars. After all, we know nothing of how Obi-Wan became a Jedi, and how he spent his childhood. Focusing on the relationship between Obi-Wan and Anakin is far more important, and that hardly even starts in Ep. I. Then there's all the other stuff: The podrace, Amidala/Padme changing clothes & identities, Jar Jar, Messed up Yoda, the Gungan city -- all fluffy tripe that I'm glad to do away with. "What's with the messed up order?" There are problems with watching in both release order and chronological order. Chronological order: So you start out knowing that Anakin turns into Vader before you even enter the original trilogy. There is no build up/big reveal. You lose the charm of meeting Obi-Wan and Yoda with the veil of mystery. Also, if waching with a noob, you may lose them by showing the poorest (story-wise) films first. Release Order: You end on a major downer. You thought the end of Empire was a downer? Try Revenge: the last thing you see is Anakin turing into Vader, Padme dying, most of the good guys getting slaughtered, the baddest guy taking over the universe, and Obi-Wan & Yoda accepting soul-crushing defeat and going into exile. The machette order isn't perfect, but when thinking of the net of gains minus flaws, it's the winner for me. Side note, for being the biggest Star Wars fan I know, I've never watched more than 2 of the movies in consecutive order. I know in high school my buddies and I planned to. I have a very vague memory of going to (I think) Thom Hennen's house and I walked in part-way though A New Hope and stayed to watch Empire, but that's as close as I got. With a wife and kids, I don't see any 10+ hour marathons in my near future, but perhaps if I'm left home alone for some weekend this summer, it may happen.